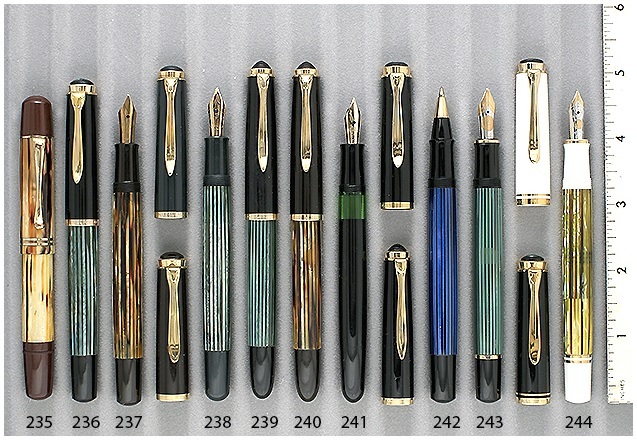 The Pelikan Pen Company is reducing their range of nibs. Double-broads and obliques are already difficult to acquire. Pen #238 below is available in our Catalog #74 – a 1955 Pelikan 400N piston-filler with a green striped barrel and a blue cap and turning knob – very rare! The nib is a medium oblique italic; a beautiful specimen. This vintage pen is still available.